If you are trying to sell your house, you may be finding that it is more difficult than you had expected… especially if your house needs any repairs that buyers just don’t want to deal with. There are still a number of homes on the market, and thanks to the economic turmoil of recent past (some areas have not fully recovered), some types of houses just aren’t selling as fast as they were 2 years ago… while the “sweet spot” market for a house (3 bedroom 2 bath in the middle to lower-middle price range) “in move in Condition” are still leading the market as they can easily get lender approvals. Another part of the problem in today’s market are the new lending guidelines that have changed since the housing collapse so fewer buyers are out there actively looking for homes… and while there are still stockpiles of bank owned foreclosed houses in Stockton that keep trickling into the market from banks and other lenders… the buyers have become more choosy than they were in years past because many of them have learned that you can no longer buy a house and bank on the fact that it will qualify for financing and appreciate a 3%+ a year in value or that they can get lending approval on a house that needs repairs. Three years ago a house needing repairs was the norm and a lot of new lenders remained flexible in approval guidelines because there were so many problem properties on the market. This is a direct correlation to How Foreclosures In Stockton Affects Housing Prices. Today, not only must the Buyer qualify for a loan, but your house must also qualify for that same loan. So picking the right house with out any defects or blemishes have become a key factor in today’s real estate market. With the new banking and lending regulations, Banks are no longer lending on houses that need any repairs. All of a sudden the house has become the target of the approval process and lenders are requiring inspections at every single level. Roofs, gutters, termite, plumbing, electrical, foundation, cracks in the walls, water damage, dry rot… you name it its being looked at. So now, not only have you got yo find the perfect buyer, your house now has to pass the litany of inspectors that will parade through your home looking in every nook and cranny. To make matters worse, if you don’t have the money to make the repairs and the Buyers are not willing to pay for them in advance of getting loan approval you’ve just LOST the sale. Are you a seller in this market? 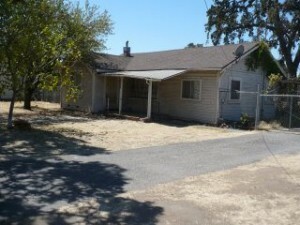 Are you discouraged and wonder how you can just sell your Stockton house fast, like right NOW? If you are like most homeowners with a house that needs repairs, it seems like you keep putting money in to improve your home but there is always something new that needs to be done and eventually you just fall behind. Making matters worse you feel like you cant keep up if you don’t have the money to just do the basics. Most homeowners are literally one plumbing, heating or electrical breakdown away from crisis. 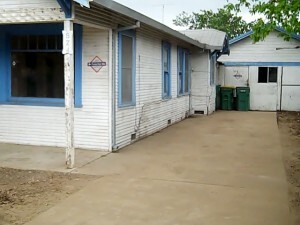 To make matters worse a buyer’s market, makes conditions hard for seller’s to know when a problem property might sell. No one likes to see their home picked apart, criticized, or devalued, but that is exactly what most sellers are dealing with in todays Stockton real Estate Market. 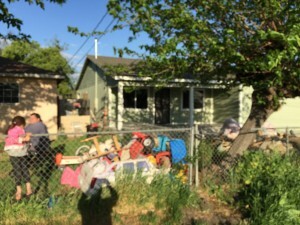 Worse yet, due to the devastating consequences of foreclosure in Stockton, many sellers in the area who hold out for the price they want are getting little visibility and in a lot of cases no offers at all… sometimes leaving the house on the market for months on end. 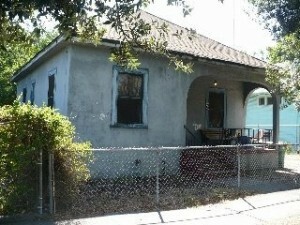 When the housing market crashed and the foreclosures began to roll in, it flooded the real estate market in Stockton. With so much more inventory on the market, the prices of everyone’s house went into a free fall because there were more options (at lower prices) for buyers looking. 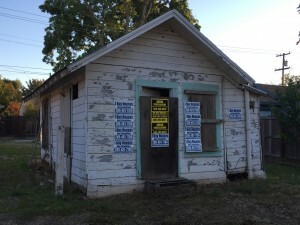 While The jury is still out on whether we’ve climbed out of this foreclosure hole or not, there are still lots of foreclosure houses in the Stockton area and the banks are still holding many area homes in their own “shadow inventory” that aren’t even for sale yet. 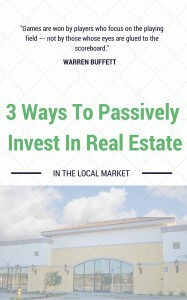 But, there are some things you can do in this market to reach your goal of selling your house. 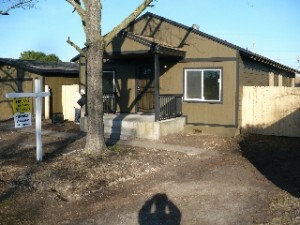 Selling Your House In A High Foreclosure Market Like Stockton takes time and MONEY! If you don’t need to sell your house fast have made all of the necessary repairs, painted, new flooring updated kitchen and baths and can ride the market ebb and flow of the market… Congratulations.… Get A Great Real Estate Agent On Your Side and hunker down until that perfect buyer comes your way and pays the price that you’re looking for. The market has improved slowly, and if you can sell your house next year rather than now… it may mean a few extra dollars in your pocket on the sale at a higher price. A great real estate agent can help you list the house and market it for you. If you don’t have a god local agent, just reach out to us and we can connect you with some great real estate agents we know in town who have shown they can sell a house fast. 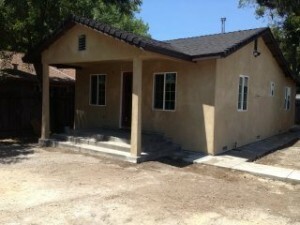 Email us over here for a Stockton area real estate agent referral. If you Need to sell your house fast… Give us a call because Selling your house fast in a market like this can be difficult if you go the traditional real estate agent route… unless you discount your house in a big way. Then on top of that discount you’ll be paying the real estate agent commissions… which takes even more cash out of your pocket in the end. 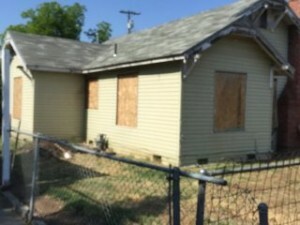 Another option you should look at is selling your house to a real estate investment firm like ours .We buy Stockton houses and can make you a cash offer within 24 hours for a fair price.We’re not looking to list your house… we’re actually looking to buy the house from you… we’ll take care of any repair costs after we buy it from you AS-IS, with no inspections whatsoever and without contingencies for financing or repairs. We invest our time, money, and expertise into fixing and keeping for a rental or selling the house to another home owner.It can be a win-win-win situation.If you’re looking for full-retail value of your house, we can’t pay that. We do need a discount so we can make a profit on our end, but you won’t ever pay us any fees or commissions and you can avoid continuing to pay for a house that is NOT goig to Fix itself. 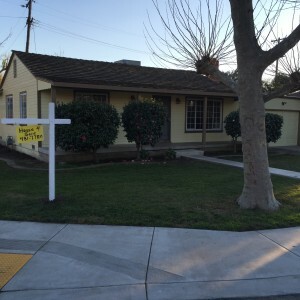 Call Us To Sell Your Stockton CA House Fast… Even In A Market Like Today’s We will Buy Your Stockton House. If you have any questions about our service just call us we are nice people. You can call us at (209) 481-7780.